Valencia and Alba Berlin will solve their differences in Game 3. 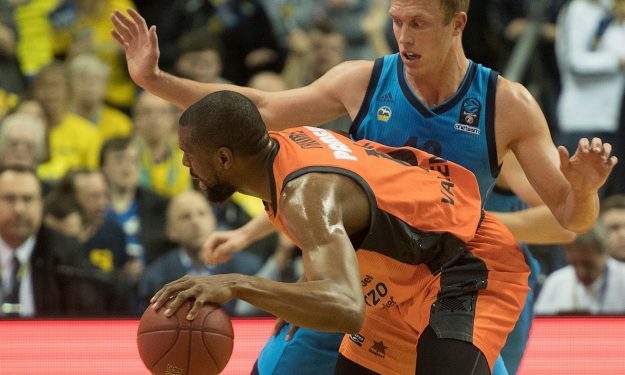 Alba Berlin beat Valencia 95 – 92 in overtime of Game 2 of the EuroCup Finals to tie the series 1-1. The 2019 champion, and holder of a ticket for the 2019-2020 EuroLeague, will be determined by Game 3, held at Valencia on April 15. Peyton Siva was the one to force the extra period by scoring the layup with two seconds remaining. Alba, that was down by five, 66 – 71, with three minutes then actually had a chance to win the game after a Valencia turnover on the inbounds pass but Rokas Giedraitis missed the 3-pointer from half court. Alba got a head start in overtime with a 6-0 run. Valencia approached 93 – 92 with a triple by the game’s top scorer Sam Van Rossom (22 points), 54 seconds before the end of the period. An offensive foul by Alba’s Nnoko Landry gave Valencia a chance to regain the lead but Matt Thomas’ 3-point attempt went off target. On the other end, Luke Sikma’s 2/2 free throws increased his team’s advantage. Thomas’ game-tying attempt didn’t go in and Alba remained alive in the competition. Giedraitis finished with 17 points for Alba while Sikma had 15 points, six rebounds and four assists. Siva added 14 points and six assists, same as Martin Hermannsson. Fernando San Emeterio scored 16 and Will Thomas 15 for Valencia.